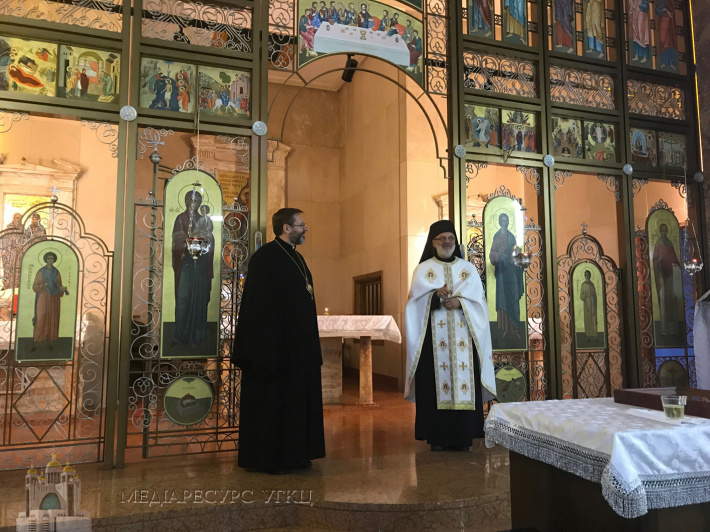 On Saturday, October 20, His Beatitude Sviatoslav paid a visit to the Monastery of Theodore the Studite "Studion" in Grottaferrata, near Rome. In the monastery chapel, His Beatitude Sviatoslav prayed the Vespers, and after worship he talked with the parishioners of the monastery. In his speech, His Beatitude Sviatoslav pointed to the historical significance of the monastery in the life of the UGCC: "According to the plan of Patriarch Josyph Slipyj, this monastery presented the face of Eastern spirituality in the center of the Catholic world. In this temple, the episcopal ordination of my great predecessor, His Beatitude Lubomyr Husar, along with two other notable figures of our Church took place. The iconostasis you see in front of you is a unique sacred pearl. It was created by Juvenile Mokritsky, who also painted icons for the iconostasis of St. Sophia Cathedral in Rome." The monastic life of the "Studion" ceased in the 90s, when the monks moved to Ukraine. "I had to make a lot of effort to restore the monastic life here," said the Head of the UGCC. The task of reviving the monastic monastery is now entrusted to the hieromonk Orest Kozak. "You need a lot of courage, courage, but first of all believe that the thing you do is God's will," said His Beatitude Sviatoslav. - It is the dream of Metropolitan Andrey Sheptytsky and the idea of ​​Patriarch Joseph - to have in Rome the monastic embassy of our Church ». "Especially I am pleased that this monastery opened its doors again to the Ukrainian community. Lord God again sends life to this place. 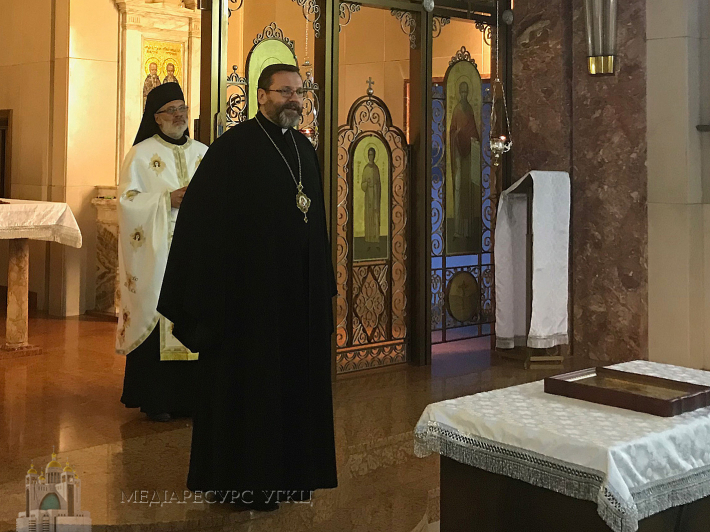 I came today to support you, so that you do not feel forgotten," said the Head of the UGCC, and thanked the people of the monastery for having "so boldly embarked on work." "As Head of the Church, I really need your presence here," emphasized the Head of the UGCC. "The future of this monastery is largely in your hands. Therefore, I thank you very much that you are gathering around this shrine. 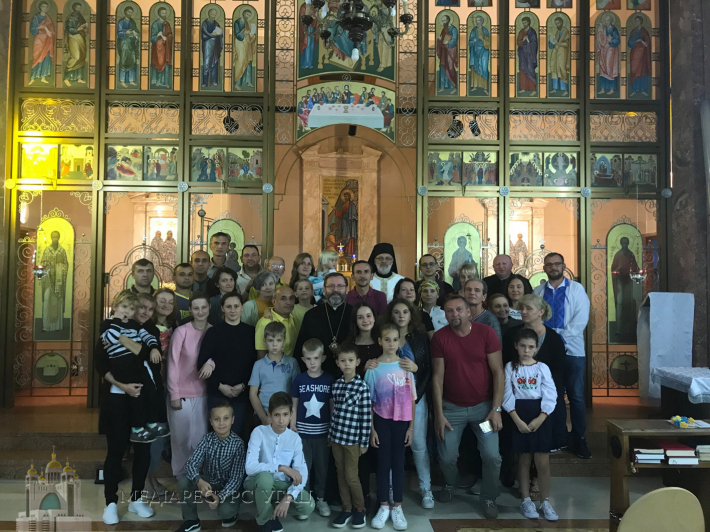 In today's prayer, I asked God to make this monastery the focal point of the spiritual and cultural life of the Ukrainian community in Italy," said His Beatitude Sviatoslav to the present believers. 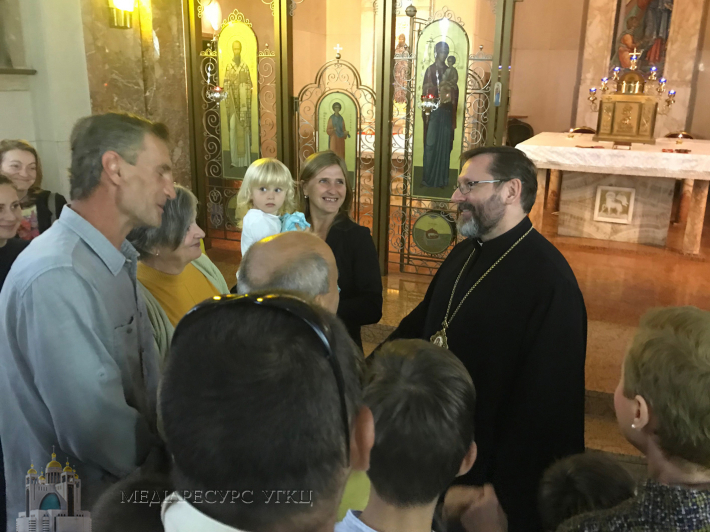 At the end of his visit, the Head of the UGCC had the opportunity to get acquainted with the parishioners and to communicate with the monks about the actual problems and the future development of the monastery.